Man, I love passion vines. I don’t know why I haven’t grown more of them in my garden. 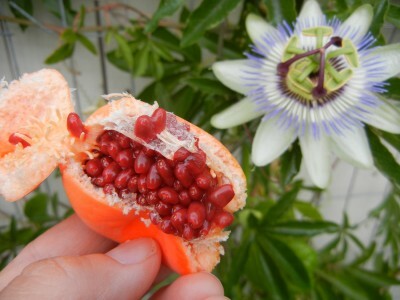 I guess it may have something to do with the fact that I’m cheap and starting them from seed is the cheapest way to grow them, but I have horrible luck with starting passion vine seeds. Anyway, lovely pic and flower. 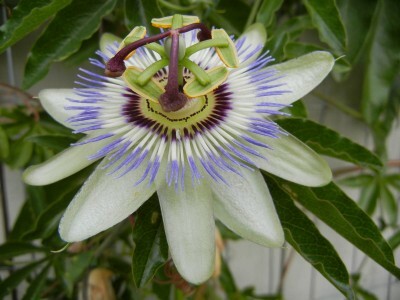 I miss that passion vine – hope my nice tenants are enjoying it. Maybe I need to fake a landlord visit so I can sit by it for a bit. The passion vine, Anna apple tree, grapes and more are those special plants that bring back fond memories of my kids – growing right along with them. Thanks for stopping by – I need to make a point to send people your way to learn about seed saving.